The Salvation Army do a great job and one of their local guys, Lt Colonel Peter Savage, who I knew for many many years before his recent passing, epitomised for me the Christmas message of Peace and Goodwill to all. 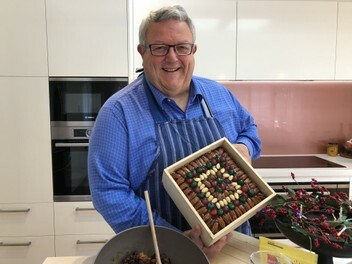 So I have made a Kahikatea cake box and baked a Christmas cake to raise a few dollars for the Salvation Army do to help them with some of the extra things they do around Christmas time. I will arrange pick up or delivery locally, or I’ll courier it to other parts of New Zealand. It’s for a great cause, bid up large.